Let your state senator know how important the funding is for the island's only school. Ocracoke School's annual Arts Week will culminate in a Thursday night all-school performance. Ocracoke Dolphins Varsity Baseball team lost Thursday's home game against rival school Cape Hatteras. Ocracoke Varsity Baseball held their first home game of the season against Cape Hatteras JV on March 17th. TODAY! A 3-on-3 Basketball Tournament will raise money for area foodbank. 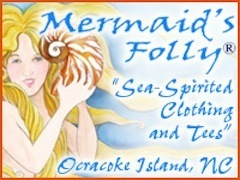 All are invited to perform in the Ocracoke School Variety Show on March 24th. Honor roll students were celebrated today at an assembly for the 2nd grading period. Ocracoke 4th and 5th graders are sharing their favorite family recipes.